Itool Window Crimp™ 2-Crimp pulling head with sure grip, has lanyard length of 28-inches. It has tensile strength of 4000 lb. 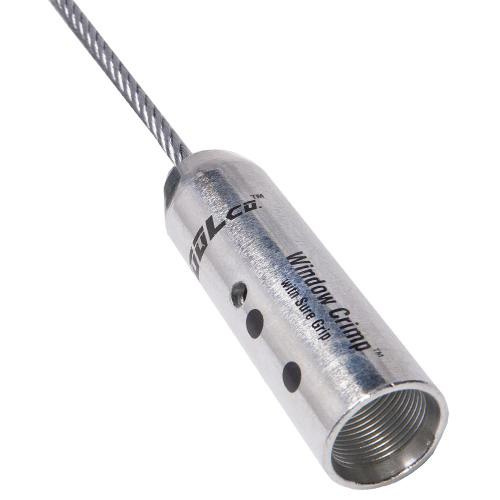 This pulling head has nominal size of 350-AWG. It works well with aluminum or copper conductors. Window in this pulling head allows for easy visual inspection of wire placement. It is suitable for use with WTC1000 crimper and any 12-ton crimper. Internal threads in this pulling head ensure more surface area for crimping.